I say everything I do is my favorite thing….. but these girl mary janes are definitely my favorite! I used the same pattern from the Camouflage Mary Janes and a fat quarter of this grey and black/yellow spotted cotton fabric (18′ x 21″ piece). 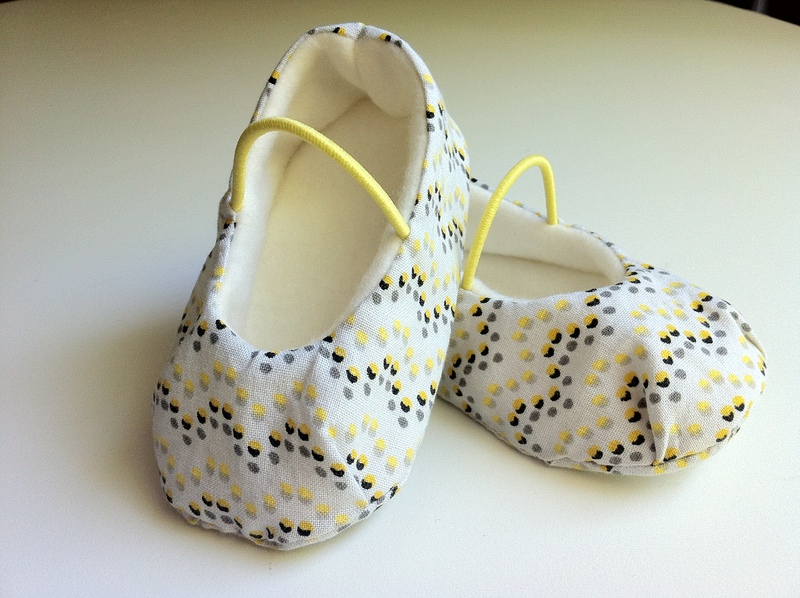 This pair is fully line with fleece for a soft and cushy feel. All seams are hidden and for even more comfort. Instead of using regular boring white elastic across the top, I used some more colored hair elastics. These were perfect for this project! Not only was the color a match, but the elastic was soft and comfortable enough as well.